Considering the comfort of the patient as the main focus, this very portable treatment chair is mounted on 4 wheels, has a short backrest and an extendable as well as removable neck roll. 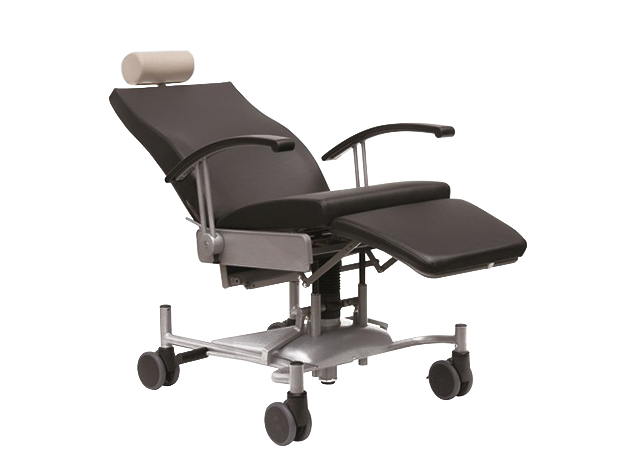 Backrest and legrest are adjustable up to a relax position. The armrests can be tilted backwards for an easy entry. With hydraulic height adjustment of 51-71 cm trough levers on both sides. Cleaning: All surfaces are made for the hygienic use in hospitals.